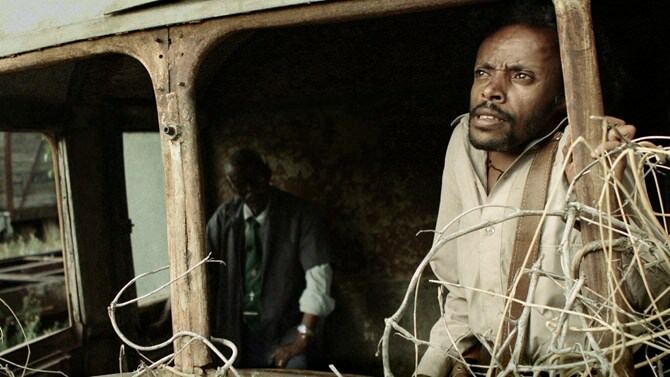 Check Out The Odd Trailer for Ethiopia’s First Post-Apocalyptic Sci-Fi Film, ‘Crumbs’! This trailer is super creepy, but also looks fantastic and right up my alley. This little film called ‘Crumbs‘ is directed by Miguel Llanso and is being billed as the first Ethiopian post-apocalyptic, sci-fi feature length movie. It looks crazy. It only runs 69 minutes, which is very short and looks like it follows a guy named Birdy who journeys across a post-apocalyptic landscape and encounters some insane things. This entry was posted on Thursday, February 12th, 2015 at 6:02 pm	and is filed under Film, News. You can follow any responses to this entry through the RSS 2.0 feed. You can skip to the end and leave a response. Pinging is currently not allowed. « 2015 Dallas Film Festival Has Announced the First 10 Films! !